Metro has failed to properly track millions of dollars in spending, an Office of Inspector General report published this week suggested. 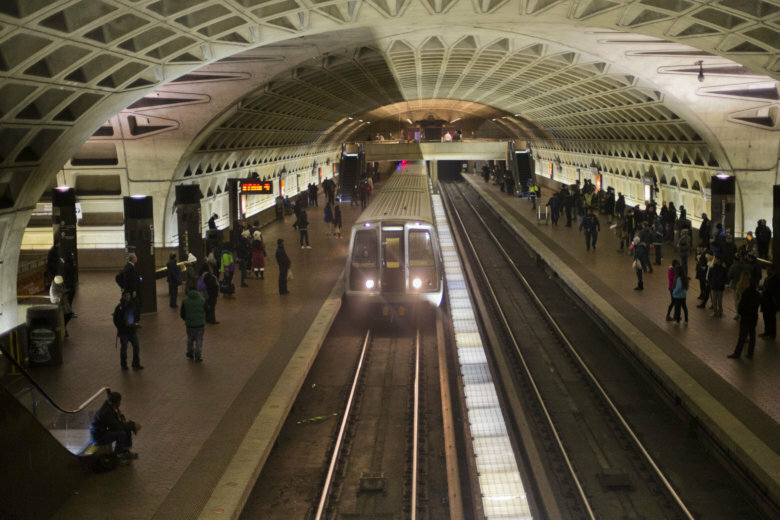 WASHINGTON — Metro has failed to properly track millions of dollars in spending, an Office of Inspector General report published this week suggested. It echoes years of larger financial management issues that the transit system had appeared to overcome with financial audits now coming in on time and reduced financial oversight from the Federal Transit Administration. The watchdog’s audit published Thursday analyzed a type of procurement known as a blanket purchase agreement that is intended to be used as a way to simplify repetitive purchases of supplies or services when the exact amount or timing of the need may vary. It found significant problems with documentation of spending. “WMATA risks overspending for repetitive supplies and services because administration of the BPA program needs improvement, missing and incomplete BPA documentation, and lack of BPA planning, monitoring and closeout,” Cherrington said. The purchase orders reviewed were from the time period between July 1, 2016 and June 30, 2017. Thirty-one of 45 in the random sample taken from 137 blanket purchase agreements issued that year for a total of $5.4 million were outdated but remained open, meaning approximately $3.7 million likely could have been transferred from those contracts to other Metro needs. Those that were identified as BPAs covered things such as equipment, tools, fuel, batteries, office supplies, radiator repairs, bus washes, power washing, custodial work, legal representation, printing, towing and IT needs. The committee asked no questions in public session and accepted the report. Metro management has agreed to address the issues in the report, after negotiation with the inspector general’s office over two recommendations. In the 2017 budget year covered by the audit, Metro was not quite sure how many of the purchase agreements it had used. “Contracting officers stated that they thought there were more BPAs processed for FY 2017 than the purchase orders that were labeled as a BPA” in Metro’s financial tracking system, the report said. The agreements are meant to be used when the total cost will be somewhere between $3,500 and $150,000. Few of the agreements Metro used were based on regional or federal cooperative agreements that can be used to get a lower price. Cherrington’s team has made procurement issues a priority for audits and investigations. In this case, the audit found guidance had not been distributed to contracting officers, which led to a lack of standard procedures. During the review, Metro said a May 2016 draft policy written by a now-former chief procurement officer had been scrapped due to errors and omissions of oversight rules, but new policies and training would be in place by Oct. 1. Overall, many of the agreements were missing proper documentation that Metro had sought out the best price for the product or service, missing descriptions of the work to be done or more. “Two entire files were missing,” the audit said. In one case, a purchase order was double what had initially been approved: $50,000 instead of $25,000. The report recommended a limit on how much the cost could increase without going through the process again, but Metro management was skeptical. In others, the inspector general cannot be sure there was fair competition that avoided favoritism for one vendor over another. Metro also failed to properly plan and annually review the agreements to be sure it was the most efficient way of spending money, and did not shift money off the agreements that was no longer being used to other projects that may have been higher priority.